Freya Merrick dos Santos from Victoria’s Yarraville Community Centre. 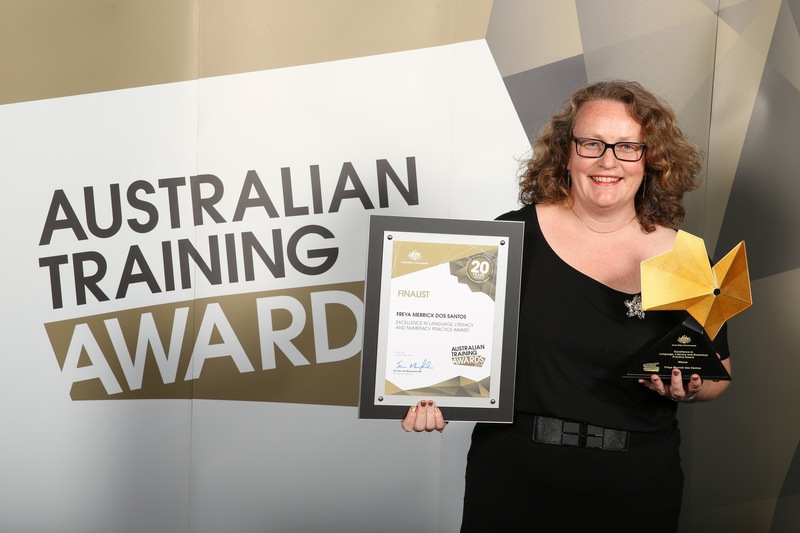 Congratulations to Freya Merrick dos Santos from Yarraville Community Centre who has won the Excellence in Language, Literacy and Numeracy Practice Award at the 2014 Australian Training Awards. Inspired by her work with displaced young people in Timor Leste, Freya works with unemployed migrants, refugees and internationally displaced people at Yarraville Community Centre, helping them develop language, literacy and numeracy skills that will allow them to more actively participate in their community. 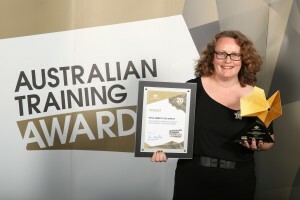 Yarraville Community Centre co-ordinator Chris McCall says Freya was nominated for the award because of her creative and innovative teaching and the value of the work she does. Freya currently teaches the highest level Skills for Education and Employment (SEE) class at Yarraville. Learners in the class are preparing to make the transition to work or further vocational study. Freya works with the class on employability skills but also arranges work placements or volunteering opportunities so that students can practise employability skills in real life situations.